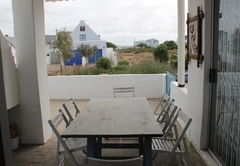 Starfish is a property providing self catering in Paternoster for up to 6 guests visiting the Cape West Coast region. 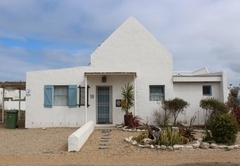 Starfish is a fully equipped self catering beach cottage in the unique fisherman's village of Paternoster. 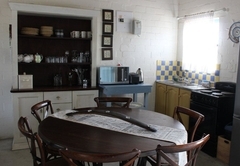 The house has three bedrooms; two are furnished with double beds and one has two single beds. 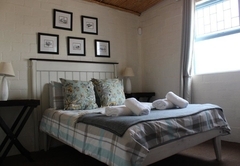 There are two bathrooms; one with a bath and the other is an en-suite with a shower. All linen and towels are supplied. 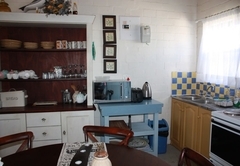 The kitchen is fully equipped for self catering with all of the latest appliances. 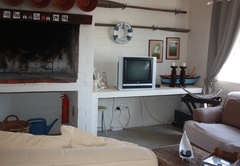 The open plan lounge / dining room / kitchen is an indoor fireplace and we supply wood for the first night! 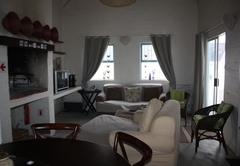 The lounge has a TV and DStv can be provided at an additional charge per day. 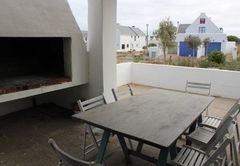 The house has an outside patio area with braai facilities and the sundeck boasts 360° views of Paternoster. 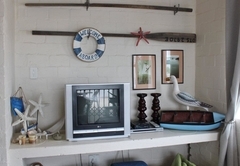 There is direct access to the beach which is only 80m away. Beach towels are not provided. 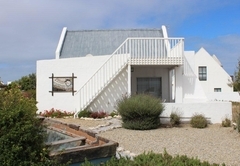 Starfish is a fully-equipped luxury self-catering beach cottage in the unique fisherman's village of Paternoster. 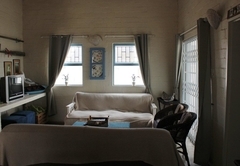 It has 3 bedrooms - 2 double bedrooms, 1 with 2 single beds. 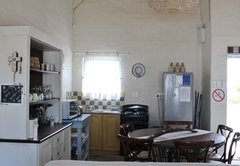 It has 2 full bathrooms one with bath, and the other en-suite with shower. Response timeStarfish typically responds to requests in 5-10 minutes.